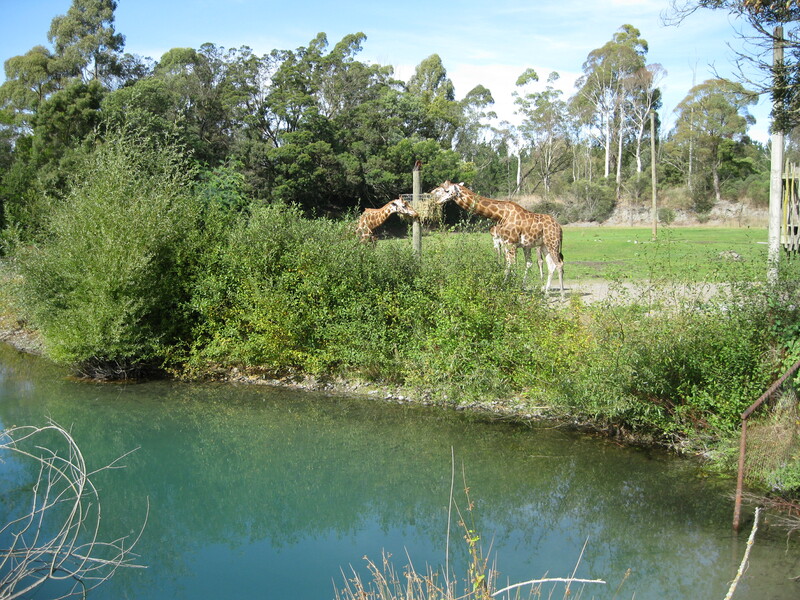 It’s a crisp, sunny autumn morning and Orana Park, New Zealand’s only free range zoo, just outside Christchurch, is busy with holiday visitors. Still, a few steps down the path, we’re in empty territory. Across a stream a trio of hippos paws irritably at the ground. A troupe of wildebeasts watches nervously from the next enclosure. Curious emus trot over to their fence to eye us as we pass, while behind us, a young tiger warns us off with a growl. On the far side of a lake, a young baboon swings in a tree as his mother instructs anxiously from below. Orana offers a range of close animal encounters. You can hand feed Giraffes, or step into a cage within the lions’ cage to see, hear, smell and, yes, almost feel them tear their prey apart at feeding time. You can pet and stroke the farmyard animals and walk among native birds in a giant aviary. In the dark of the kiwi house you can watch, as, just behind a glass partition, the shy, earthbound and anomalous emblem of the nation so bent on scaling to and soaring from great heights, grubs away in the undergrowth. And as if to underscore this New Zealand penchant for soaring and scaling, just a little further along from the Kiwi House, we come upon a queue. It’s longer than the queue for giraffe-feeding. It’s longer than the queue for the little train that trundles visitors around the park. It’s longer even than the queue at the cafe. Kids of all ages, mums, dads and even grandparents wait impatiently to climb a solid wooden platform and hurl themselves along the sagging wire of the flying fox.